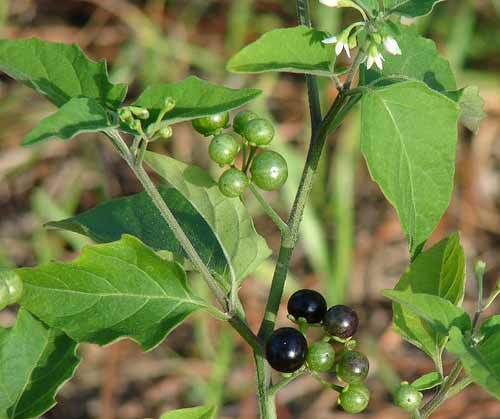 Solanum nigrum also known as Black Nightshade or Makoi (h) Kakamachi is a perennial shrub found in wooded areas. The height of the plant is 40cm 130cm and leaves are 4-8 cm long. The fruit, root, leaves, flowers berry and the entire plant is used as medicine. It grows usually in nitrogen rich soil. It has reference of being used since Vedic age. It is an important shrub in Ayurveda. It is characterized by its white flower and purple-black berries. In India, it is found with red berries. The flowers and the berries are arranged in umbelliform. Solanum nigrum (Makoi (h) Kakamachi) is useful for the treatment of measles. It is useful against cardiac pain. 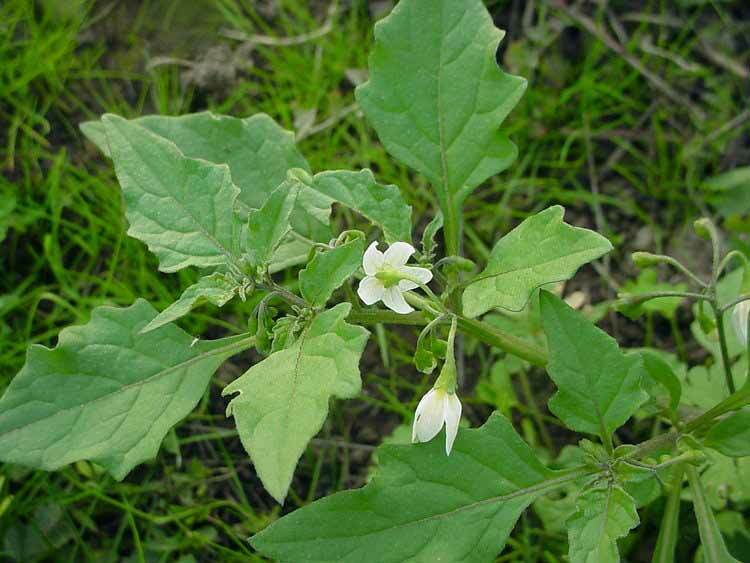 Solanum nigrum / Nightshade is used as a blood purifier. It is helpful in enlargement of organs like liver and spleen. Solanum nigrum is helpful for the treatment of chronic fever. It is used to cure dropsy. It is useful for arthritis. 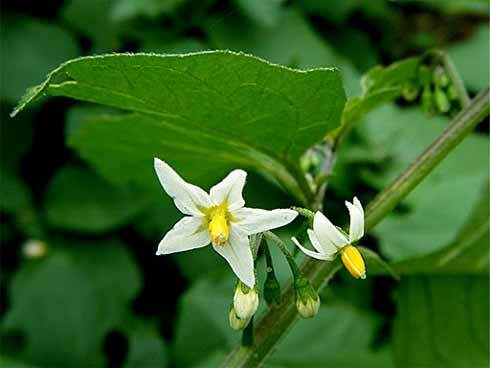 Solanum nigrum (Makoi) has also anti-diarrheal and antipyretic property. It also used to treat weakness to get strength and vigour, and diuretic in nature. Makoi possesses strong narcotic property. This is useful for the treatment of ulcer. It protects liver and fights against jaundice. Useful for asthma, cough and oral ulcer, it also cures an earache. It is used as a tonic to enhance appetite and for people facing a problem with night blindness. Useful for the treatment of fever and leucodermia. It has been used for treatment of piles and leprosy. It is toxic in nature and seen animals, children and people being poisoned after eating. Solanum nigrum is used as a veterinary medicine. It is used against itching, skin diseases and eczema. It reduces gas formation in the stomach. In America, Africa and other parts of the world, it is used as a food crop though complained of toxicity. The gum is used for the treatment of bronchitis, inflammation, heavy female discharge and wounds. It has been proved useful against burns because of it anti-inflammatory nature. In Germany, it is used to induce sleep. Leaf juice cures worm in the stomach and very useful for the treatment of gouts. In Tamil Nadu, people use it in cooking in various ways. In developing countries like India, it is used as a useful herb in many other ways in this 21 century. The mention of the plant is seen in ‘Samveda’ as Nitnani.